Hormone imbalances can strike without warning and are often difficult to diagnose. 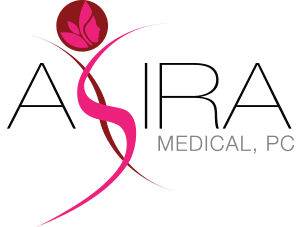 At Asira Medical in Yorktown Heights, New York, Dr. Grover discovers the cause of your hormone imbalance and provides effective treatment solutions. 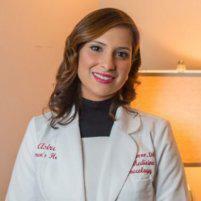 Dr. Grover is board certified in Family Medicine and Obstetrics and has many years of expertise in diagnosing and treating hormone-related conditions. If you're suffering from a hormone imbalance, don’t wait to seek treatment. Call Dr. Grover today or book an appointment online. What is a hormone imbalance? The human body produces a variety of different chemicals called hormones that help regulate many of your bodily functions. They can affect your sleep cycle, reproductive cycles, libido, appetite, and more. If your hormones become imbalanced, your body might not function properly. You may feel sick or depressed, or even struggle with infertility, weight gain, or other symptoms that can affect your quality of life. Hormone imbalances can even cause sleep disorders and chronic fatigue. What are some symptoms of hormone imbalance? Polycystic ovary syndrome (PCOS) is a particularly common medical issue which can cause a hormone imbalance. Women with PCOS may struggle with painful periods, weight gain, and cystic acne. How are hormone imbalances diagnosed? An in-depth consultation is an essential part of the diagnostic process. At Asira Medical, Dr. Grover begins by asking about your symptoms and medical history. She’ll ask when you started experiencing symptoms and about the severity of your symptoms. Dr. Grover may order blood tests to check your hormone levels. She might also perform a physical exam or pap smear or order an ultrasound to examine your uterus or ovaries. These tests can reveal any underlying illness or injuries affecting your hormones. What treatments can help with hormone imbalance symptoms? Medication can often help correct hormone imbalances and provide relief from unwelcome symptoms. If you're a woman, hormonal contraceptives like the birth control pill can help regulate your hormones and menstrual cycle. If you're experiencing hormone imbalances as you age, you may benefit from hormone replacement therapy. As you get older, your body may no longer produce enough estrogen or testosterone. Pills, injections, or creams can provide your body with these crucial hormones. Lifestyle changes can also help with weight management. Dr. Grover can help you learn more about lifestyle factors that increase your energy, improve your mood, and help you sleep better at night. If you’re ready to seek help to balance your hormones, call Dr. Grover today or book an appointment online.